Ruby Colorful Coffee came to me from a new friend and fellow coffee enthusiast, Brian Williams. He highly recommended this coffee, and gave me choice of Ruby’s or another one, and I know I got the better deal here. 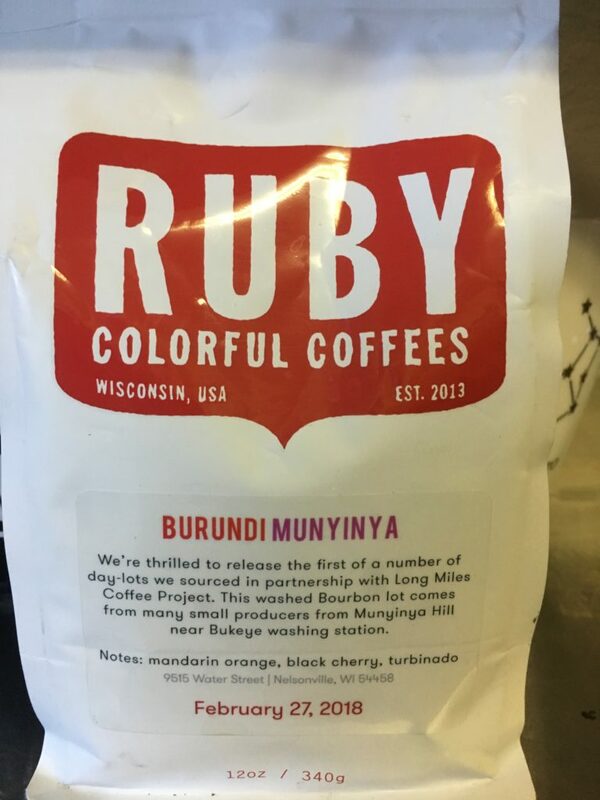 For those who have yet to know or try Ruby Colorful Coffee you are in for a treat. Ruby Colorful Coffee is truly a micro coffee roaster, their goal is to roast each micro lot of coffee to represent the climate, the micro-region and the growing season. So, their roast window and profile are small, but that works quite well for them. The surplus of beans changes with what is in season, so keep an eye out for what they offer, or if you love to be surprised and have a taste for adventure then sign up for their subscription. You will get the roasters choice once a month delivered to your door step. 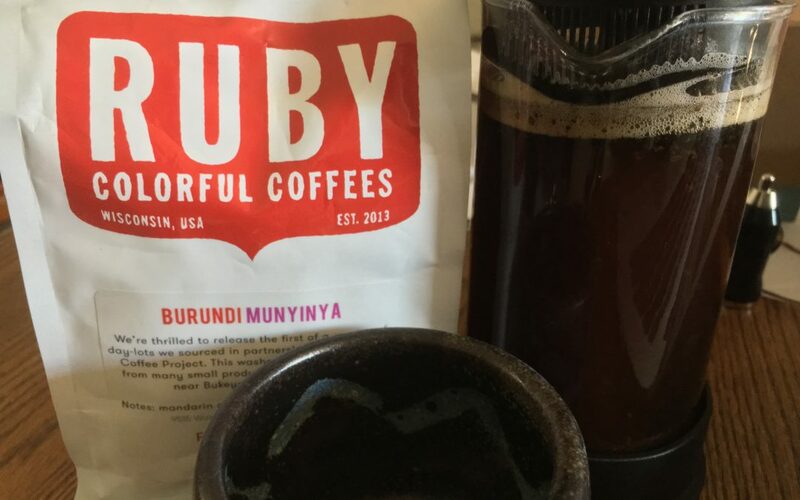 I sampled Ruby’s Burundi Munyinya, and here is what I found. This coffee is very rich in Black Cherry and Mandarin Orange with a lighter note of floral. After I added water to it, and while it was brewing, the Black Cherry and Mandarin Orange became the dominate aroma. Black Cherry is the driving flavor here and the Mandarin Orange is the background flavor giving this coffee a clean, fruit like, and naturally sweet flavor that has a nice black tea quality to it. I added cream to this coffee and wow! Did it turn into an amazing coffee that went from breakfast coffee to dessert coffee. It still kept the Black Cherry, but chocolate became part of the flavor profile, quite enjoyable and highly recommended. I liked it well enough black, and would still drink it black, but on a hot summer day with some cream and poured over ice or as a cold brew you are onto something grand there! The acidity in Ruby’s coffee is what really sells this coffee for me. It is naturally sweet, mild and smooth. No bitter aftertaste, but a very clean finish. A bright, brisk tea opening that makes this coffee a very enjoyable one. The body is full and very impressive, not creamy or heavy, but a solid feel that is not thin. Overall this cup is bright and brisk, with a clean finish like a high quality black tea, well rounded in mouth feel and flavor. I really enjoyed this coffee both ways, black or with cream. You can’t go wrong either way.